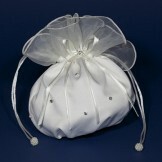 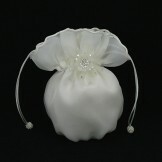 Dolly bags are the ideal bridal bag, perfect for brides and bridesmaids. 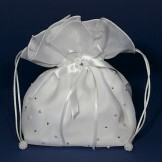 With a neat design and handy drawstring to close, dolly bags are lightweight and very pretty! 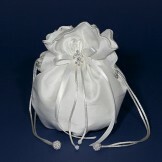 Available in white and ivory satin, you have a choice of dolly bag designs enabling you to select the best match for your wedding dress. 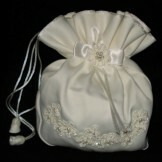 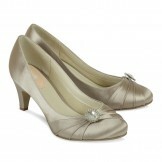 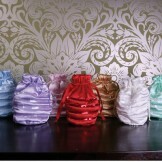 Bridesmaids and flowergirls can choose from a range of lovely colours of dolly bags.